The days are getting shorter, the nights chillier, and the vibe more and more festive: It must be holiday season here in Southern Maine! Now’s a great time to declare a Portland getaway at The Francis. Whether or not the first real white stuff has cozied up our charming city by the time of your visit, the holiday spirit around here runs strong. In our old-meets-new hotel—drenched in history yet outfitted with the most modern and elegant of amenities—we’ll show you warm and pampering hospitality, and meanwhile you’ll have a whole suite of seasonal events to enjoy in our vicinity. Here’s a look at a few of the showstopper holiday festivities going on in and around Portland—all of them easy to enjoy from your merry home-away-from-home at The Francis! On November 24, Monument Square will take Portland’s holiday pizzazz to the next level with the lighting of its grand tree at 6:15 PM. 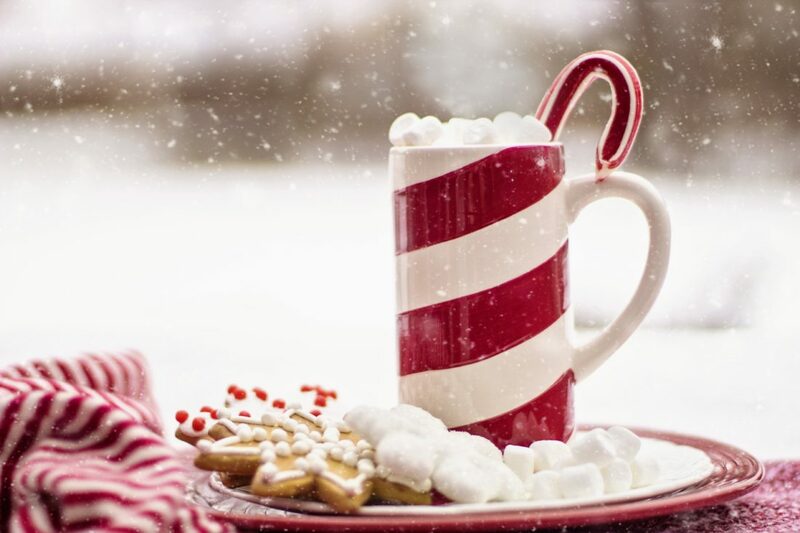 The bedazzling occasion will come marked by live Christmas music, a cameo by the North Pole’s best-known fella, free horse and wagon rides, and ample quantities of cookies, hot cocoa, and (naturally) eggnog. It’s a wonderful opportunity to admire the Victoria Mansion’s glamorous, meticulously restored 19th-century furnishings and fixtures while ringing in the season with cocktails, toothsome bites, and raffle giveaways. Also on November 29 (11 AM to 2 PM), the University of Southern Maine’s Husky Harvest will once again treat attendees to flavors from all around the world in its annual celebration of multiculturalism at the Woodbury Campus Center. If you feel like a jaunt out of Portland, meanwhile, we highly recommend a visit to the coastal towns of Boothbay and Boothbay Harbor, which mark the holidays with community-wide light displays. A definite highlight of this Boothbay Festival of Lights—which runs November 17 through December 31—is the “Gardens Aglow” display at the Coastal Maine Botanical Gardens: With more than 500,000 LED lights illuminating the upper gardens, this ticketed installation ranks as the biggest light show in all of Maine—a sight to see, to put it mildly. So come spend part of your holiday season with us here at The Francis, and while you do take in some of the many seasonal soirees and spectacles going down in Portland and throughout our one-of-a-kind corner of coastal New England!